Tips to guide & driver, items of a personal nature. 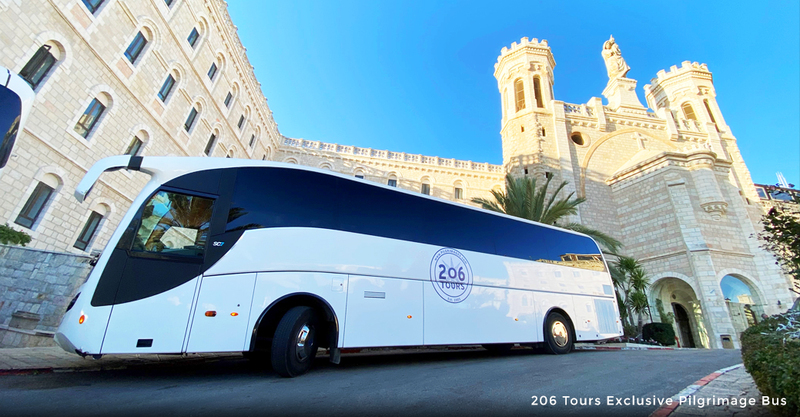 On arrival in Tel Aviv you will be met by the 206 Tours representative and transfer to your hotel in the Tel Aviv area. Dinner will be served at the hotel. Drive up the coast to Caesarea, ancient capital of the Roman province, where you will view the remains of Roman and Crusader structures.Â In Caesarea you will see a 2000 year old city - built to honor Augustus Caesar - that was once the capital of the Roman province and was later occupied by the Crusaders.Â It was here that Herod laid out a classical city complete with an amphitheater and stadium, and also constructed an artificial harbor with concrete pilings underwater, the first such use of concrete. You will also see the Roman aqueduct that is a marvel of engineering. 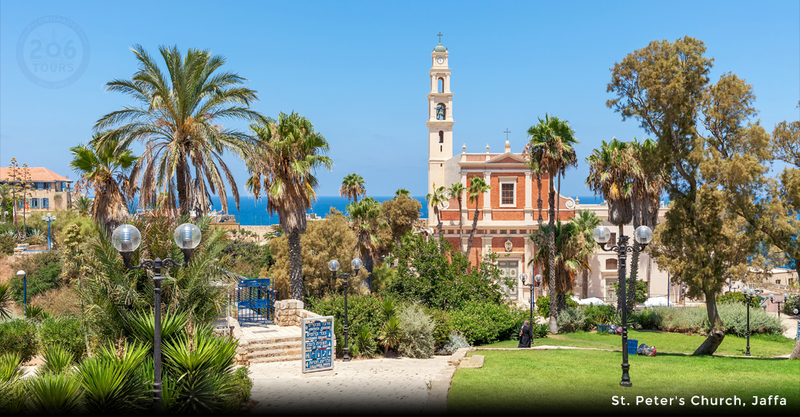 You find a wealth of Roman, Byzantine, Arab and Crusader ruins in the area, as well as the harbor from which St. Paul was taken prisoner to Rome.Â Drive along the Carmel Range at Haifa. 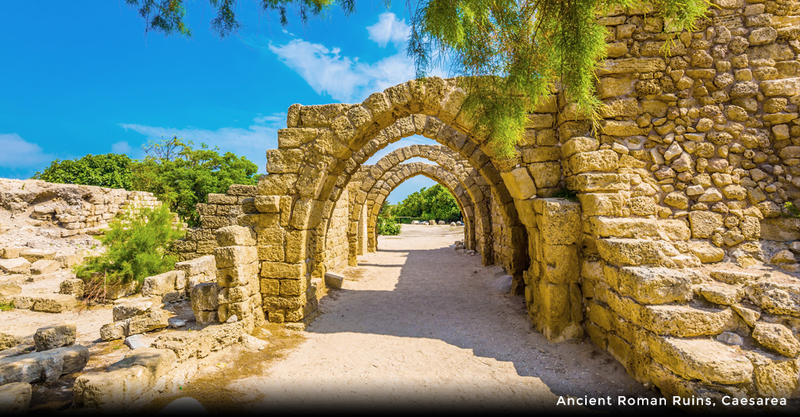 From here, you continue to visit the excavations of Megiddo, an ancient city-state now designated a UNESCO World Heritage Site because of its historical, geographical, and theological importance, as its Greek name, Armageddon, illustrates. Excavations have unearthed 26 layers of ruins, which makes it one of the most interesting archaeological sites in Israel. 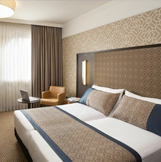 Drive through the Jezreel Valley to GalileeÂ and on to your hotel. 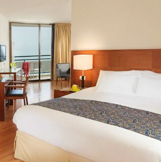 Continue to Tiberias to check in to your hotel for dinner and an overnight. 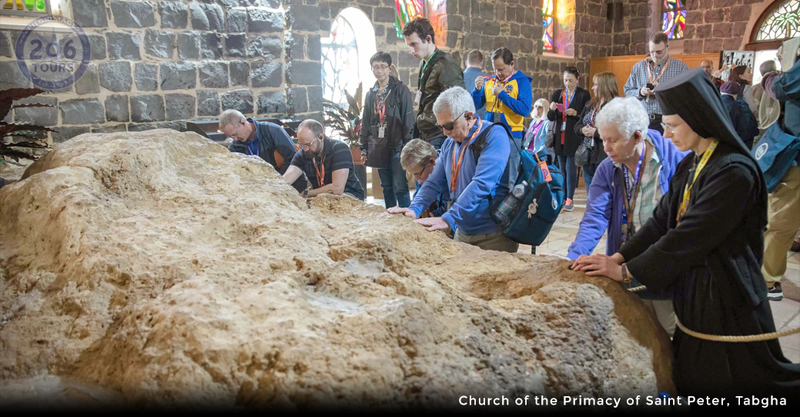 This morning you set off on a private boat ride on the Sea of Galilee.Â Stop at Capernaum, where you will see the ancient synagogue where Jesus taught and St. Peter's house which was later converted into a church.Â You will also visit Tabgha with the Church of Peter's Primacy and the ancient mosaic of the Loaves and Fishes (a mosaic in the Church of the Multiplication commemorates the event) before you continue on to the Mount of Beatitudes, the site where Christ gave the Sermon on the Mount.Â In the afternoon drive to Nazareth to visit the Church of Annunciation. 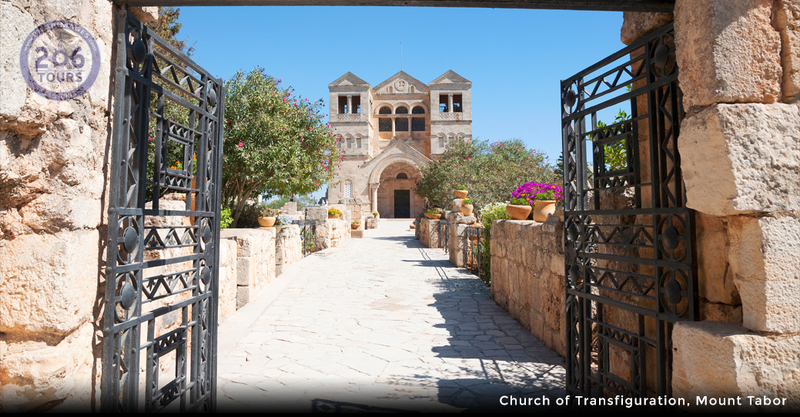 You may also wish to visit Nazareth Village, a modern recreation, based on archaeological research, of what a Galilean village at the time of Jesus was like. 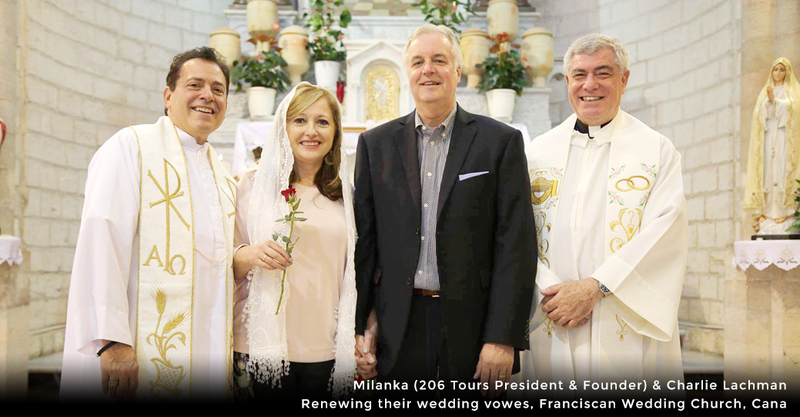 End the day with a visit to the Byzantine Church at Cana, where Jesus performed his first miracle at the wedding and where some couples today like to renew their wedding vows. 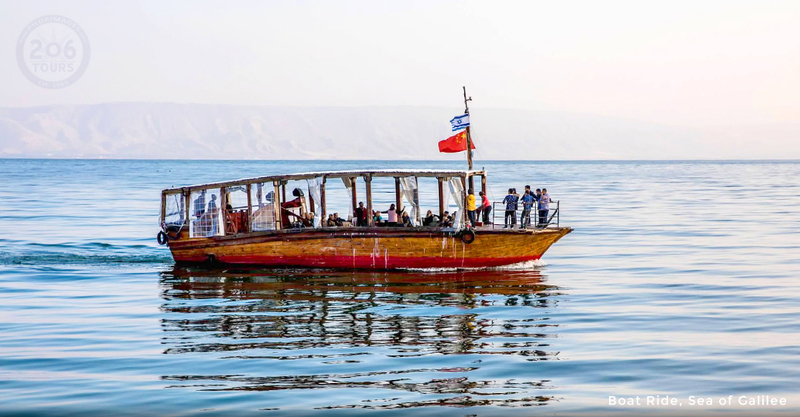 Leave south to Sepphoris, once a great centre of trade and culture as well as of Jewish learning and early Christianity.Â Drive down the Jordan Valley to visit the Baptismal site on the Jordan River. Continue to Jericho, the oldest continuously inhabited city in the world, where we view Mt Temptation and an example of a Sycamore Tree. Then, to Jerusalem, where you check in to your hotel for dinner and overnight. This morning drive down the Jordan Valley to Qumran where the Dead Sea Scrolls were found. 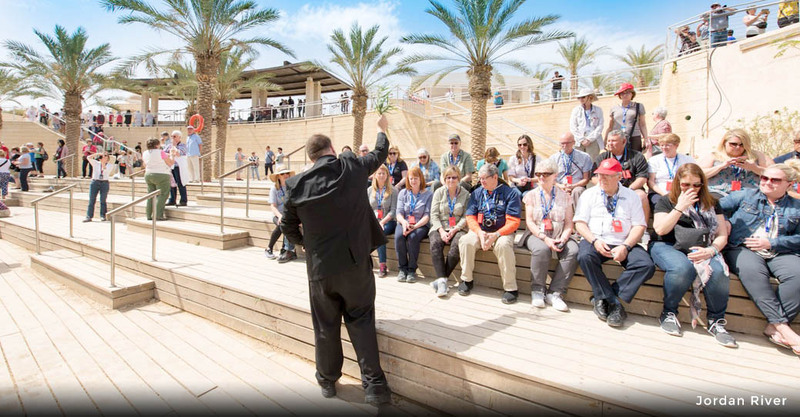 Take the cable car to the top of Masada to learn about the heroic last stand of the Zealots. 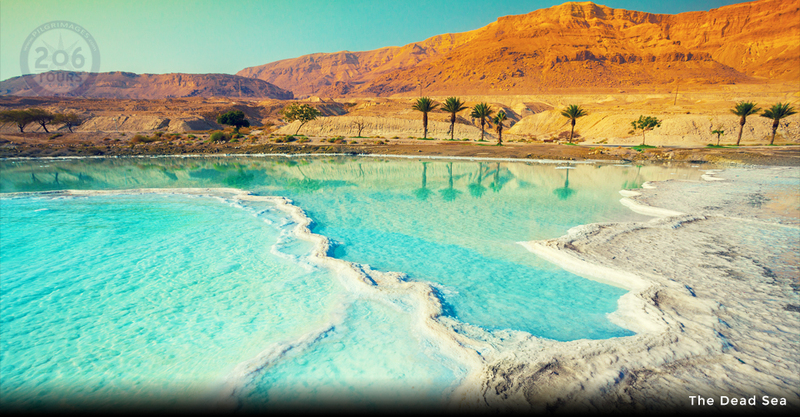 Afterwards, there may be time for a dip in the Dead Sea for those who want to. 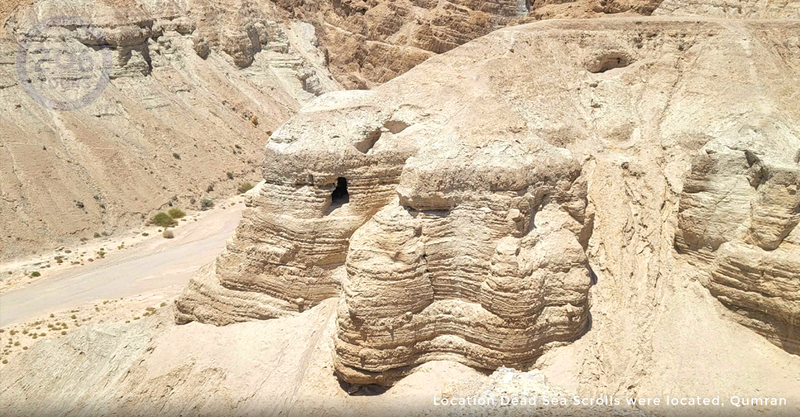 Drive through the Judean Wilderness where Jesus spent 40 days fasting, and it is in this area that John the Baptist lived and baptized Christ. Then to Bethany, where He raised Lazarus from the dead before returning to the hotel. Dinner and overnight. 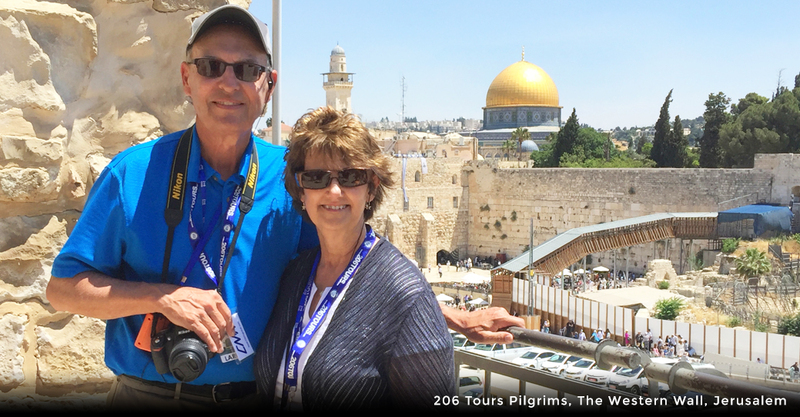 From the Mount of Olives take in the panoramic view of Jerusalem. 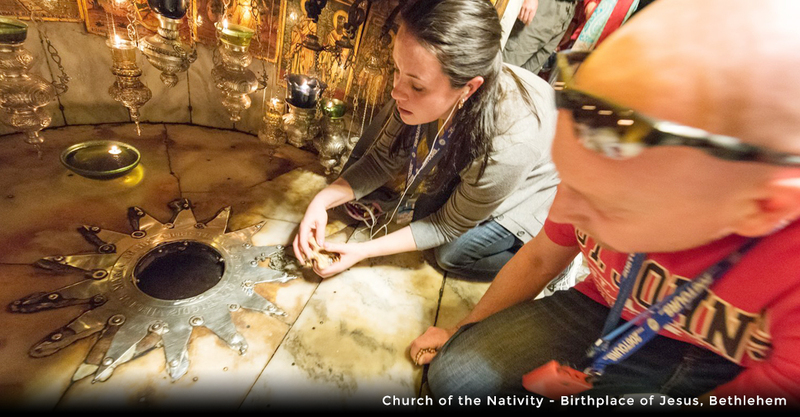 Then to the Pater Noster shrine, where Jesus taught His disciples the Pater Noster â€” The Lordâ€™s Prayer (Luke 11:1-4). 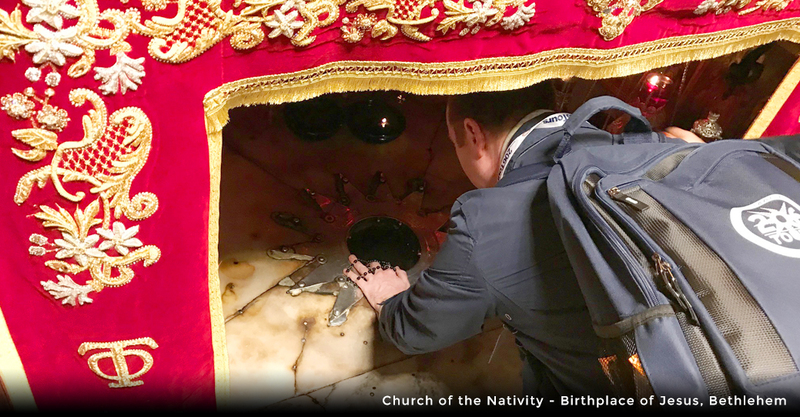 Walking down the Palm Sunday Road stop at the beautiful little church, Dominus Flevit - â€œThe Lord wept.â€� It was here that Jesus wept over Jerusalem [Luke 19:41]. 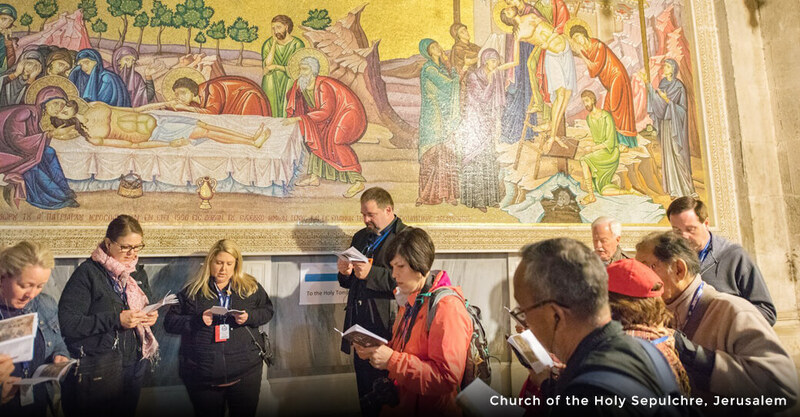 At Gethsemane, reflect on Jesusâ€™ final night. 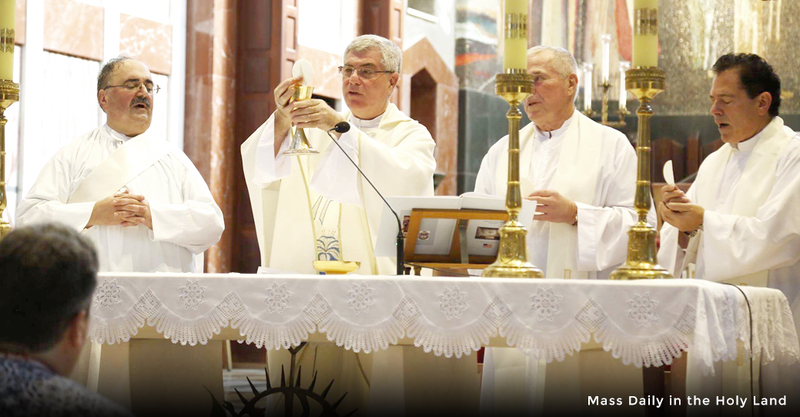 The Garden contains trees, the roots of which go back to the time of Jesus. 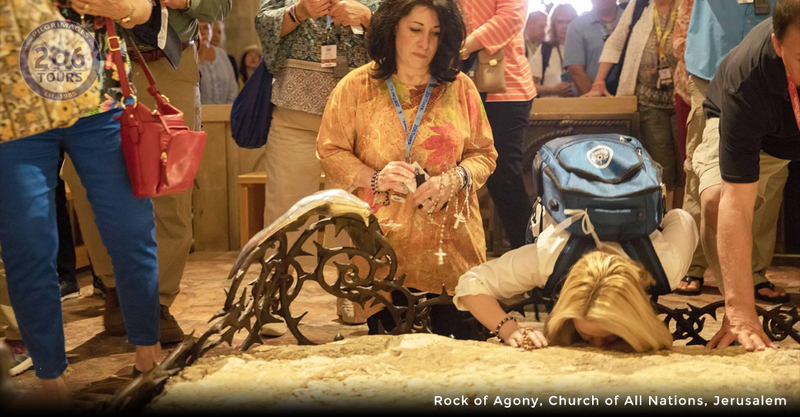 Visit the Church of All Nations to pray at the â€œRock of Agony,â€� a section of bedrock identified as the place where Jesus prayed alone in the garden on the night of His arrest. 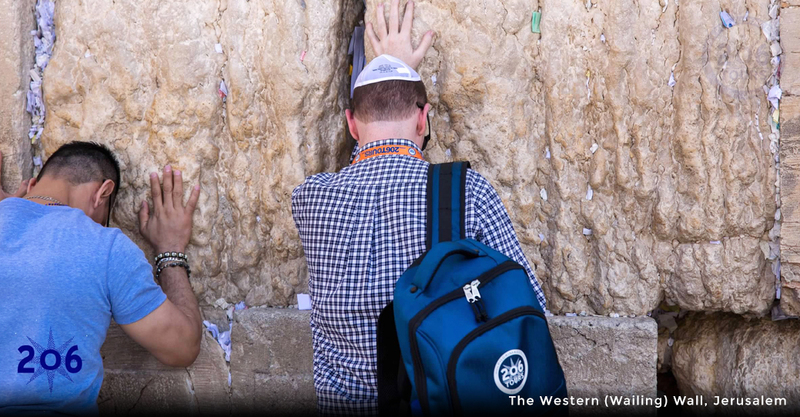 Visit the Western Wall, to see all that remains of the Temple compound that dates to the time of Jesus. From here, to the house of the High Priest Caiaphas where He was interrogated and imprisoned. 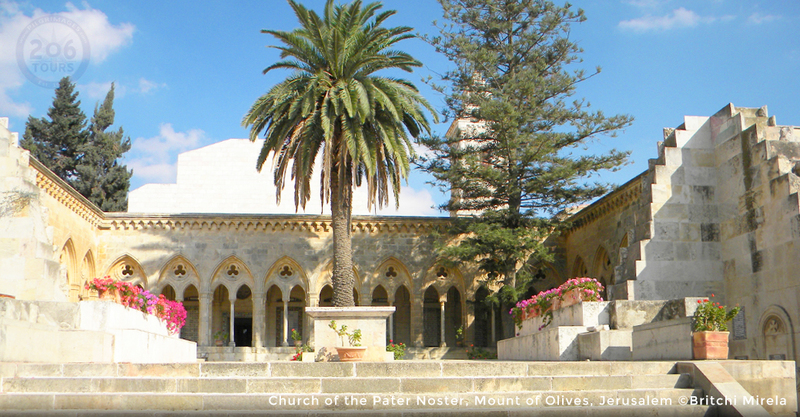 Now called Peter in Gallicantu (â€œcrowing roosterâ€�), this beautiful Church also commemorates Peterâ€™s Denial of Christ, his repentance and then being forgiven by Jesus. We also go up to Mt. 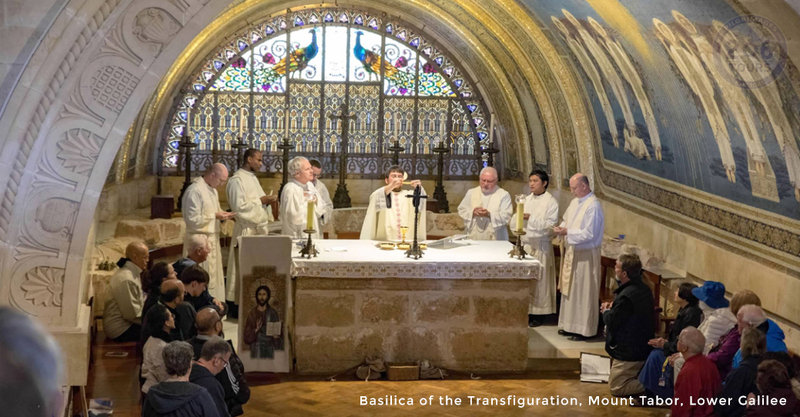 Zion to visit the Upper Room, which commemorates the Last Supper. 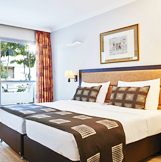 Dinner and overnight at your hotel. 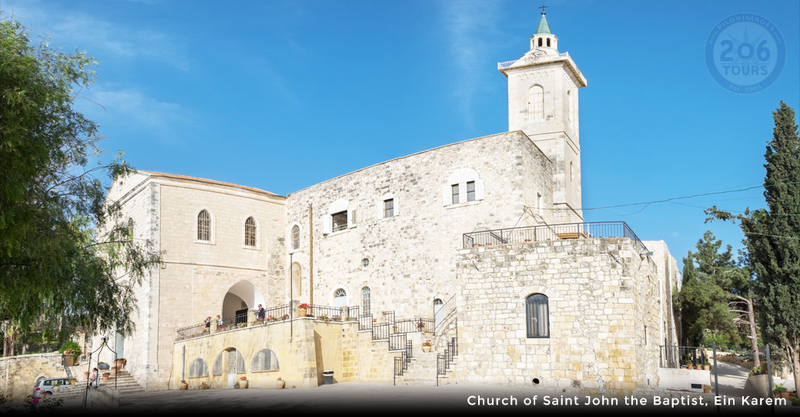 This morning we start the Via Dolorosa (The Way of the Cross) at the Antonia Fortress, where Jesus was condemned to death by Pontius Pilate. 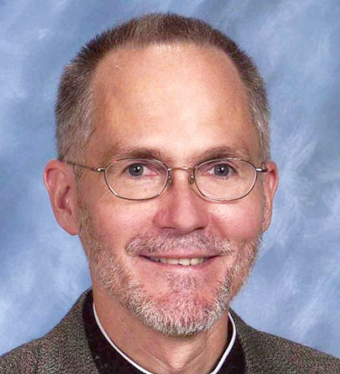 From there, He was taken through the city to be crucified. 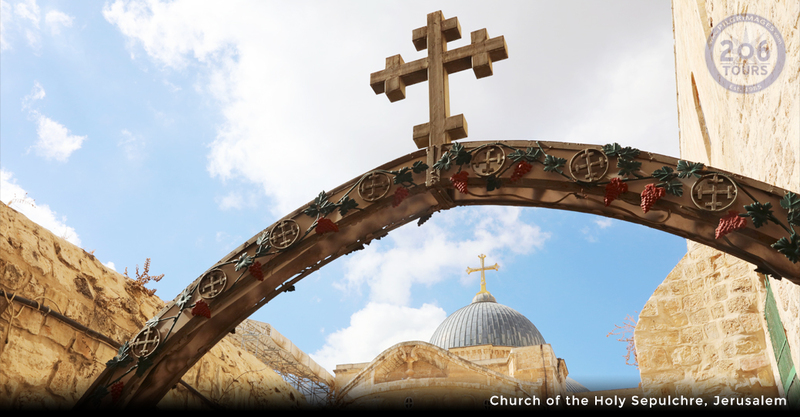 The Stations of the Cross lead, through the markets of the Old City to the Church of the Holy Sepulchre. 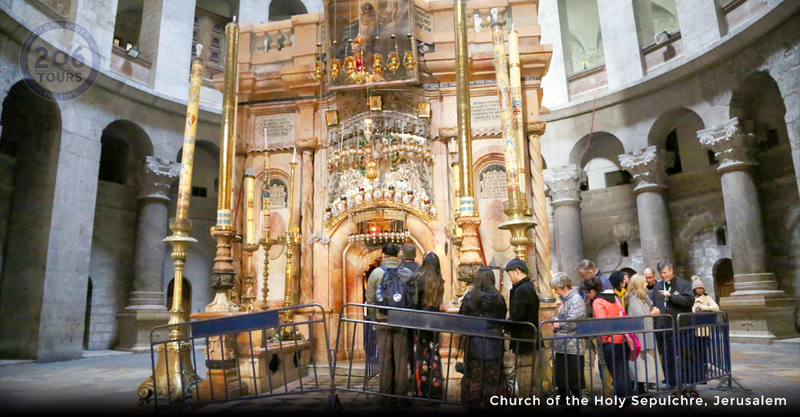 Here is the site of Calvary and the Tomb of Christ. 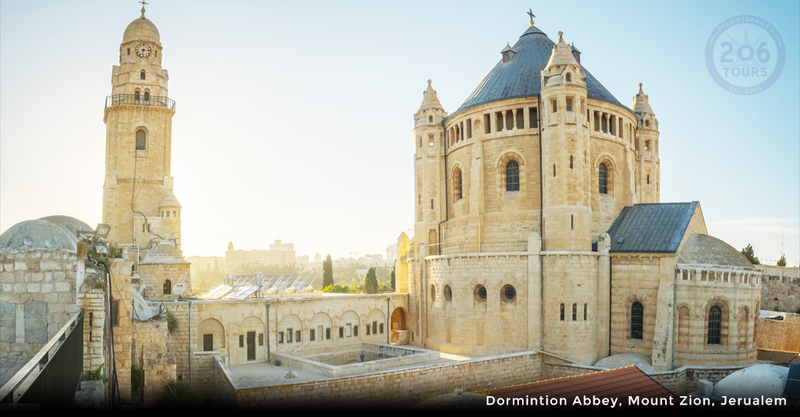 We then visit the Church of St Anneâ€™s, the Pool of Bethesda and the Sisters of Zion.Â End the day with a visit to the Lutheran Church of the Redeemer in the heart of the Old City. Dinner and Overnight at your hotel. After breakfast, we travel across the Sheikh Hussein Northern Border into Jordan. 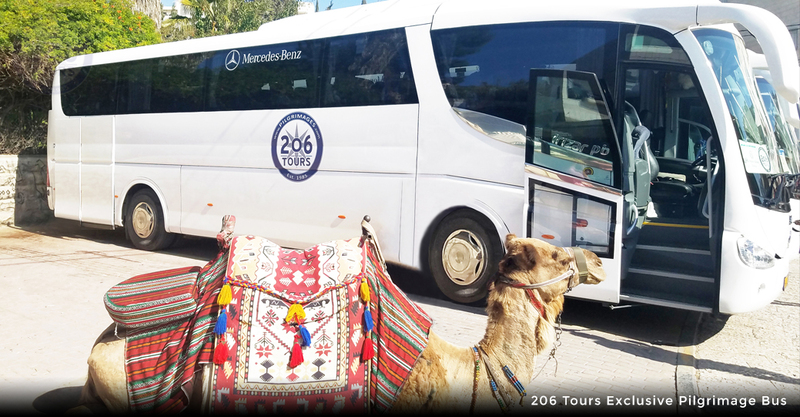 We drive to Jerash, nestled in a quiet valley among the mountains of Gilead, the grandeur of Imperial Rome, being one of the largest and most well preserved sites of Roman architecture in the world, outside Italy. To this day, itâ€™s paved and colonnaded streets, soaring hilltop temples, handsome theaters, spacious public squares and plazas, baths, fountains and city walls, pierced by towers and gates, remain in exceptional condition. We continue on to our hotel in Amman. 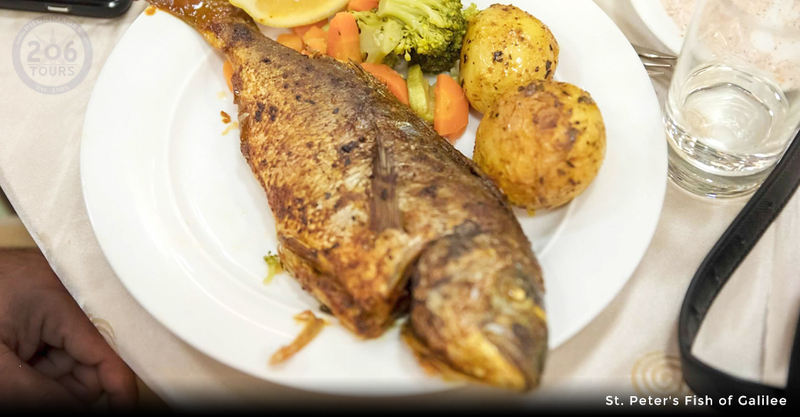 We enjoy a delicious buffet dinner at our hotel before retiring for the evening. After breakfast, we depart for Petra. Upon arrival we enjoy a walking tour that begins with a visit to the Siq of the Treasury. 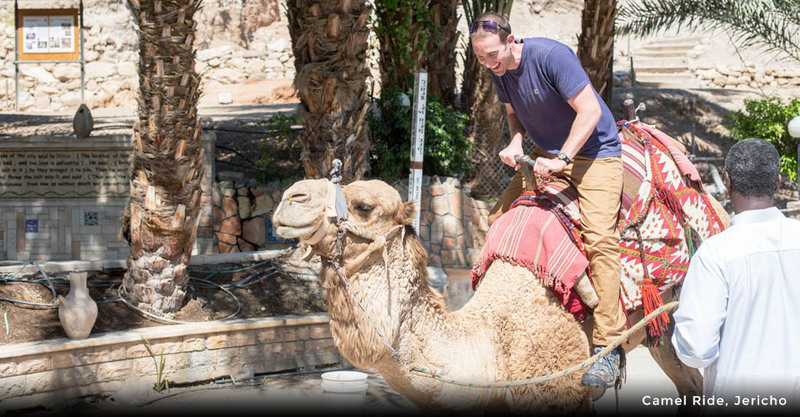 Continue through the main street with magnificent structures on each side carved into the mountains, to the colonnaded street, ending at the Petra Museum. 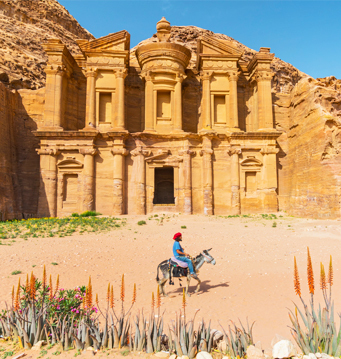 Lose yourself in the history of the Nabateans, who meticulously carved massive structures out of the rose colored sandstone. 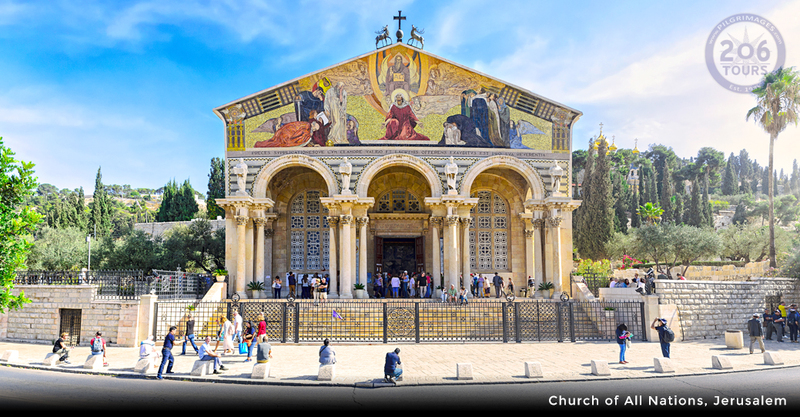 See the influence of the people that followed, including the architecture of the mighty Romans and a beautiful Byzantine chapel decorated with ancient, stunning mosaics that have been carefully preserved. Dinner and overnight in Petra. After breakfast, we depart for the "King's Highway." We will first visit Kerak, including the Castle of Kerak, the largest of mountain-top crusader castles. 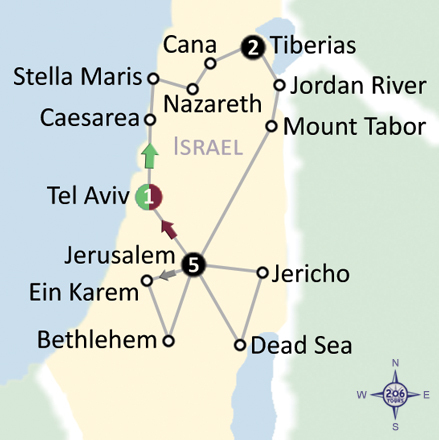 Next, we are off to Madeba, "The City of Mosaics," to visit St. George Church where there is a clear map of the Holy Land (including Israel, Palestine & Lower Egypt). We will visit Mt. 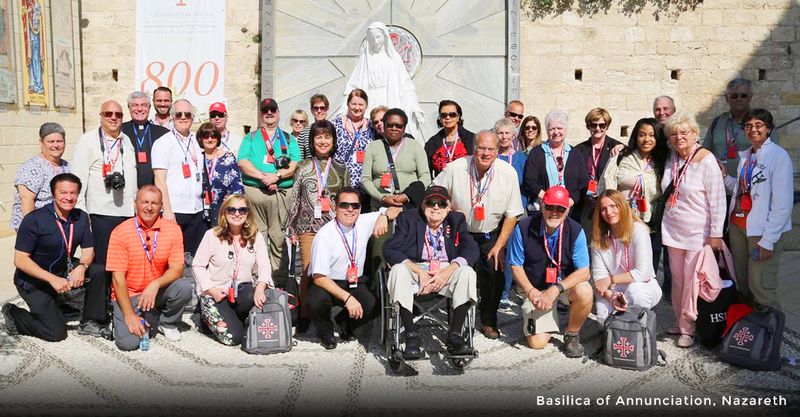 Nebo, where Moses was laid to rest, and where the late Pope John Paul II tread on his first pilgrimage of the millennium. 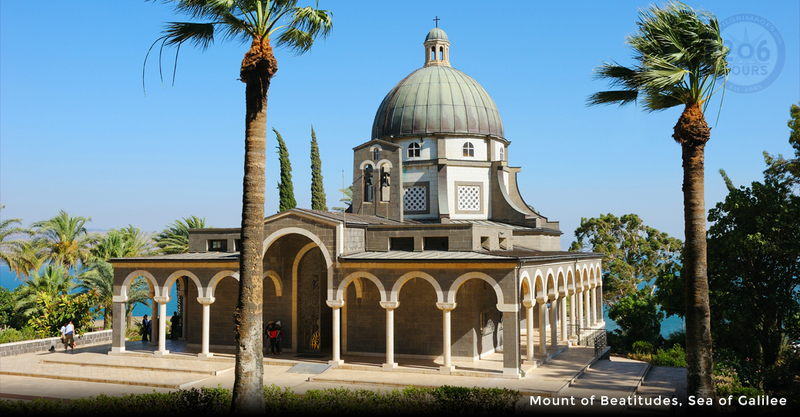 Visit the Sanctuary at Nebo: the memorial of Moses, the presumed site of his death and burial place, and a center for pilgrimages since early Christian times. 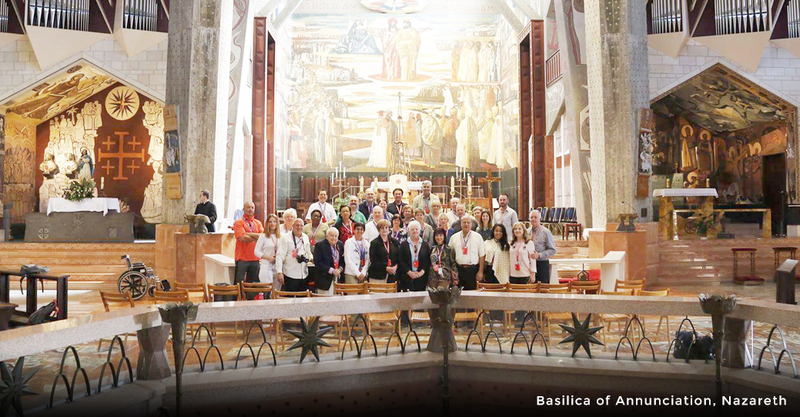 You will be inspired by the biblical feel from start to finish as you experience this divine tour. Mount Nebo is one of the most revered holy sites of Jordan, for this is where Moses was buried. 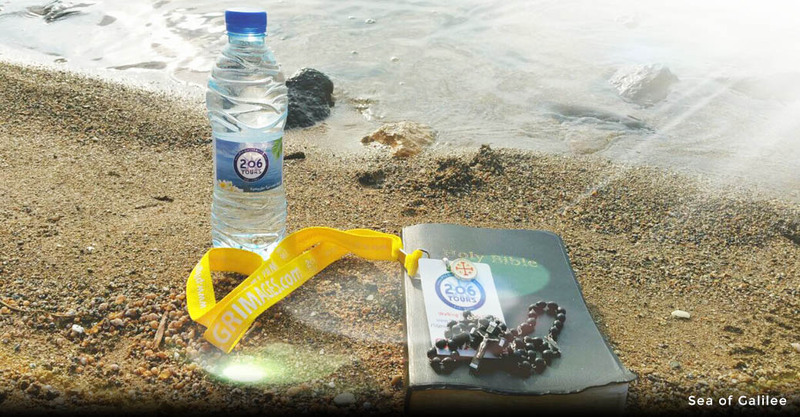 The site's association with the last days of Moses is described in moving words in Deuteromony. The episode of Balak and Balam (2:13-26) also took place here. The site's other name is Pisgah: "And Moses went up from the plains of Moab to Mount Nebo, to the top of Pisgah which is opposite Jericho." Dinner and overnight in Amman. Today we depart to Queen Alia Airport for our return flight(s) home.